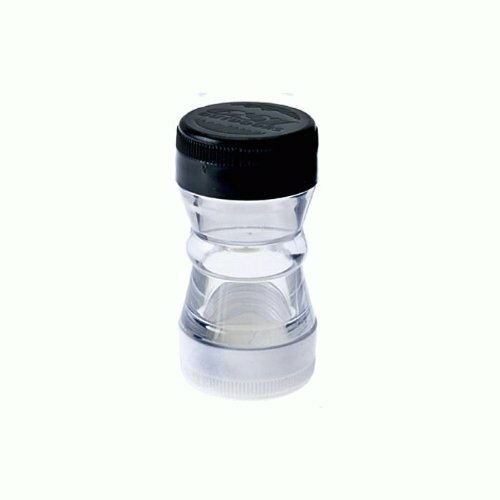 GSI Outdoors - Features: specifications: double-duty salt and pepper shaker in one, molded of ultra-tough Lexan plastic A sealing cap prevents spillage Dimensions: 1-1-2 x 2-3-4. GSI Outdoors 1304.1257 - Dispensing screens and caps remove easily for cleaning and refilling. Waterproof caps keep your salt and pepper dry. Compact, twin-compartment design is perfectly suited to carrying salt and pepper or other spices while backpacking. Weighs just 1 ounce; backed by a full manufacturer's. Durable classic, ultra-compact camp necessity has double waterproof compartments and removable screens for easy refilling.